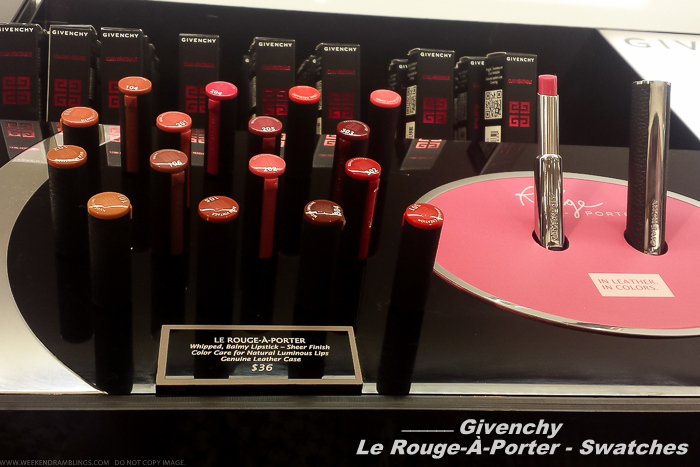 Givenchy Le Rouge lipstick in Brun Createur is one of my most used lipsticks, and I love the formula and colors available in that range. 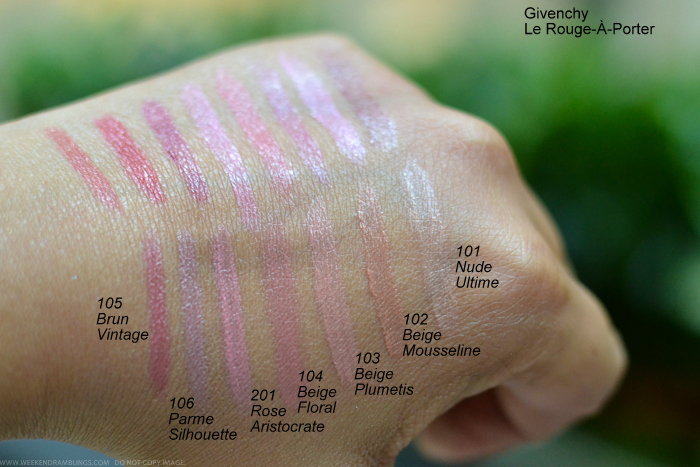 Givenchy Le Rouge-A-Porter lipsticks seem just as amazing - creamier and more moisturizing - and I love the colors available in this range. Of course, I am partial to softer, more wearable colors and hydrating formulas, but I definitely like these new lipsticks from Givenchy. And it doesn't hurt that the packaging looks so good! 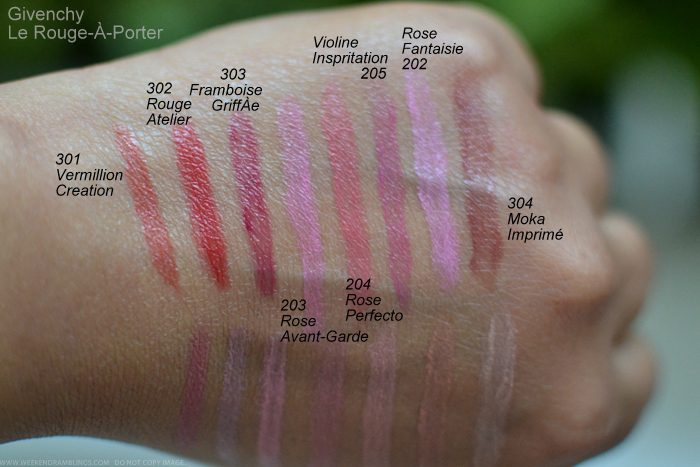 From my N number of friends I want to thank you for swatches Radhika ..